Shri Shirdi Sai Baba, also known as Sai Baba of Shirdi, was an Indian guru, yogi and fakir who is regarded by his Hindu and Muslim followers as a saint. Some of his Hindu devotees believe that he was an incarnation of Shiva or Dattatreya, and he was regarded as a sadguru and an incarnation of Kabir. The name ‘Sai Baba’ is a combination of Persian and Indian origin; Sāī (Sa’ih) is the Persian term for “holy one” or “saint”, usually attributed to Islamic ascetics, whereas Bābā is a word meaning “father” used in Indian languages. The appellative thus refers to Sai Baba as being a “holy father” or “saintly father”. Sai Baba left no written works. His teachings were oral, typically short, pithy sayings rather than elaborate discourses. Sai Baba would ask his followers for money (dakshina), which he would give away to the poor and other devotees the same day and spend the rest on matches. According to his followers he did it in order to rid them of greed and material attachment. 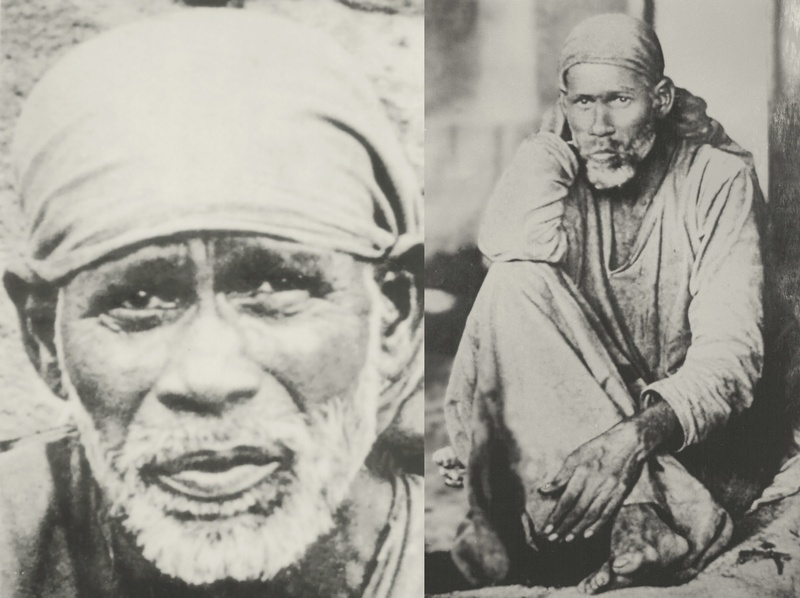 Shri Sai Satcharitra (http://www.shirdibaba.org/publication/ShriSaiSatCharitra.pdf) is a discourse on the experiences devotees had with Shri Sai and the preachings of Baba. Baba got it written through Shri Anna Saheb Dhabhlkar alias Hemadpant, by giving inner motivation to him. Baba had clearly told him: “I Myself write my own life. Hearing My stories and teachings will create faith in devotees’ hearts and they will easily get self-realisation and bliss….” (Shri Sai Satcharitra, Chapter 2).This is the first and foremost book based on the life-story of Shri Sai Baba, which was originally composed in Marathi verse form. The writing of the book started in the lifetime of Baba with His blessings.The foremost duty of Sai devotees is therefore to read Shri Sai Satcharitra and absorb it into their beings completely. The more they read this book, the more it will bring them closer to Baba and all their doubts and apprehensions will be cleared. It also has been experienced that during a crisis, if any devotee searching for an answer, randomly opens Shri Sai Satcharitra, praying to Baba sincerely and with faith, his answer can be found in that open page. Many people have got their desired benefits after reading Shri Sai Satcharitra for a week in paraayana form. May Shri Sainath reveal the Divine knowledge and mysteries contained in this book to the devotees in the same manner in which He had inspired Hemadpant to write this book. Sri Sai Baba left his physical body in October 15, 1918… but he is believed to be with us even more now than he was earlier. Let me explain my miracle now. I have been making picture quotations based on Satguru Mohanji’s teachings for some time now.On Oct 9 , 2012 morning, after making Shirdi Sai Baba’s picture quote I switched off my laptop and felt guided to read Shri Sai Satcharitha. So I was just reading a page when suddenly something fell down from inside this book. I had told Satguru Mohanji (of www.mohanji.org) how I found this book and that itself was a miracle. I just found it in my house one day. God knows where it came from???? 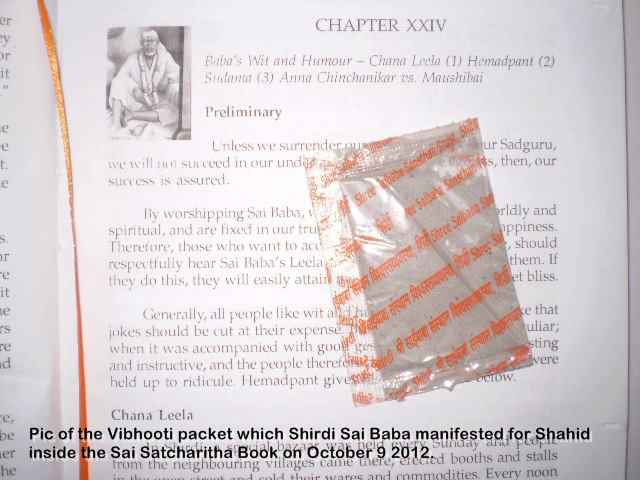 Now on looking down I found a small packet of Baba’s uddi/vibhuti. How did this get inside the book? I have been carrying this book for a long time now, glancing through the pages but never found any udi in it… Did Baba personally come and place this? Did Mohanji do this? I don’t know. This is a pleasant surprise. After about 10 minutes I was not sure if this was really a miracle, my conscious mind doubted and said perhaps the packet was always there and I didn’t notice. Had I been a fool to post this? Would others laugh at me? Satguru Mohanji had said on my Birthday , Sept 29 that from then on it would be a turning point for me and he was indeed right . I had also got confirmation from two other Tarot readers that a big change is coming my way. Having this miracle happen just a few days after my birthday was a pleasant surprise and a much needed one. Also two days before this experience I had downloaded this free healing audio by Michael Golzmane from http://clearandconnect.com/ This audio was aptly titled “Out with the Old and In with the New”. I just loved what I heard on this audio mp3. Each word seemed to be custom designed for my specific situation and healing now. I totally resonated with the contents in this audio and am Grateful to Michael for making this available free of charge. I believe maybe the healing from this audio also cleared the blocks to my experiencing a miracle. how devotees lovingly massaged Baba’s feet. I used to wish I could have done this. I got an opportunity on Christmas day 25 December 2013 to massage Mohanji’s feet while he was speaking. This was equivalent to massaging Baba’s feet. I was delighted. I pray that Baba and Mohanji grant such and more miracles to all who really need them and may everyone reading this post get a Big turning point in their life and abundant Grace/Blessings of Baba. I was blessed to be in beloved Mohanji’s presence this Christmas on December 25, 2013 in Bangalore city. There was a group of about 15 people who gathered together at Respected Preeti Duggalji’s apartment. We started with some breathing exercises and Om chanting. Then we all did the 360 degree meditation. 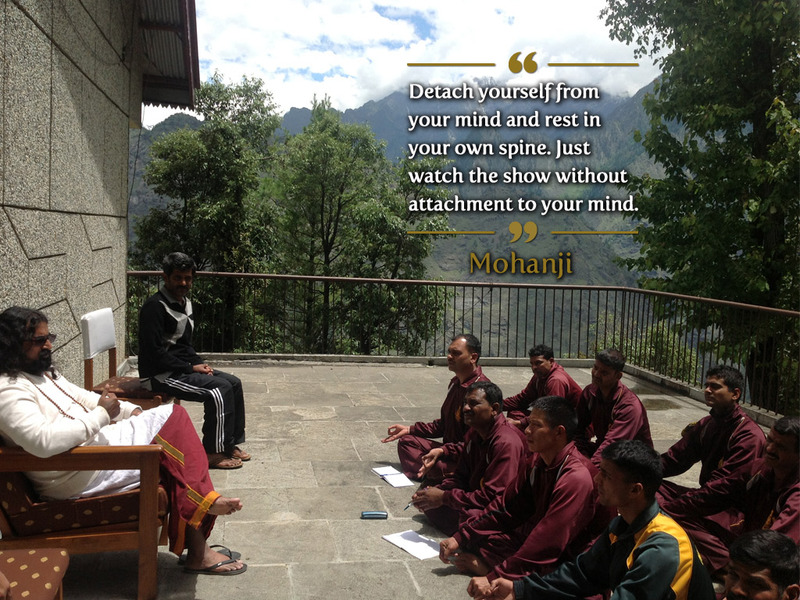 When we opened our eyes it was a delight to see Mohanji sitting before us. Mohanji narrated a wonderful story which I would like to share. This is a story about what “greatness” is all about. Alexander The Great is considered as the conqueror of the world in his time. His intent and intention was to become the emperor of the world. He set out with his army to conquer the world. Before he started his journey, he went to his teacher (guru) Aristotle and asked him, what he can get for him, when he returns back victorious after his conquest of the world. The master replied ” I have just one desire. I would like to meet and be with a great master from India.” Alexander respected Aristotle and considered him as the greatest in knowledge and wisdom of his time. 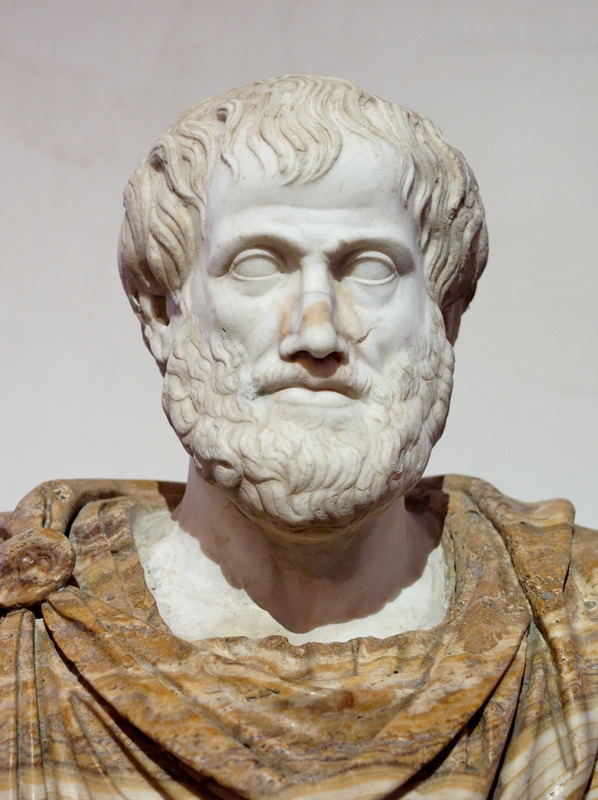 He believed that none can be better than Aristotle. Nevertheless, determined that no desires of his guru should be unattended, he promised to bring him the best of masters from India and started on his journey. Alexander believed that it would be a piece of cake for him as anyone who is worth his salt would want to serve the world conqueror for special favors or at least nobody would dare to be on the wrong side of the emperor. After conquering many lands on his way, he finally arrived in India. He killed many and conquered many kingdoms. His army killed and looted many. Many kings fell at his feet and begged for life and pardon. Thus, bloated in success and ego, he enjoyed the Indian hospitality. When it was time to return, Alexander suddenly remembered his promise to Aristotle. He need to find a guru of stature from India and take him to his country to present him to his guru. He sent his soldiers around to fetch the best of them all. His soldiers searched around the whole of his newly conquered kingdom. He asked many people. Most of them said that those who are visible in public are usually shallow and the real ones are up in the jungles. They went searching in the forest to find real gurus. People kept guiding them and finally, as per the recommendation from many people, they arrived at one person whom everyone considered a true great master. They were appalled to see a totally naked man, dark, lying naked on a rock, looking at the mid day sun at the river bank. He was completely occupied in his mission of gazing at the sun that he was not even aware that people are around him and staring at him. For a moment, the soldiers thought that they have been fooled by the villagers. He seemed to be a mad man and not a great master to them. But, the villagers convinced them that he is indeed the most powerful one in the whole region. Thus convinced, the soldiers decided to speak to him, offer him money, riches and a good life and take him back with them to the emperor. They spoke at length. He remained still. They spoke again. They used translators and spoke different languages. No effect. He continued to stare at the sun unaware of all the commotion around him. They decided to get close to him and lift him up. The rock was burning hot and it was difficult to step on it, even with their leather foot wears! They wondered how he would be lying down on such a hot surface! They tried to convince him again. He remain still. Frustrated, they lifted him up, put a cloth on him and took him to the Emperor. When he was brought to the emperor, he was least impressed. Alexander thought they have been fooled and the one in front cannot be a great master, instead only a man. He was disgusting to look at, and totally naked. He ordered him to be taken away, bathed, clothed and brought back to him later. The soldiers instantly set about to handle his orders. They bathed him against his will. Draped a clothed around him and presented him back at the emperor’s court. The emperor looked at him and tried his best to be polite. “Happy to see you. I have chosen you to accompany me to meet my teacher, the great Aristotle”. The saint did not care. He was looking and feeling the cloth on his body as if it was a snake trying to strangle him. He wanted to remove it, but, could not, since the soldiers held him like a criminal, fearing that he may offend the emperor. As his silence annoyed Alexander further and further, he decided to impress him. Alexander said “Do you know who I am?” The saint looked at him without interest. He continued ” I am Alexander the Great. I am the only world conqueror in the history of mankind. I have conquered your land too. The very place you stand belongs to me”. Hearing this, the saint started to laugh hysterically. He was delirious with laughter which made Alexander extremely furious. He shouted “STOP THAT”, and asked “What is so funny?”. The saint asked “You an emperor? To me, you look like an ignorant child who is filthy rich and totally uncontrollable. I cannot imagine you as any conqueror!”. Alexander as well as his people were stunned and spell bound at this naked man’s audacity and fearlessness. He continued “What have you conquered until now? Where is all the earth that you conquered? Show me! You only managed to unsettle crores of people who were living peacefully because of your greed. You only snatched their peace. You and your people killed many. You destroyed families who were living peacefully. What did you gain? Show me what you got from all this apart from more ego?” He requested Alexander to get him a square wooden plank and a rod. Alexander’s soldiers fetched that for the saint. He asked the rod to be put on the ground and put the plank on it. He asked Alexander to try and balance on the plank and keep the plank off the ground on the rod. Alexander was already feeling terribly insulted. He asked one of his soldiers to do his deed. One of the soldiers tried his best to balance himself on the plank on the rod. When he place one feet on one side of the plank, the other side rose up. When he put his feet on the other side, the other side rose up like a seesaw. With great difficulty, he kept the plank off the ground for a few seconds before one side or the other touched the ground again. Alexander was shaken, yet he felt powerless to retaliate. For the first time in his life, even though he has defeated mighty kings and empires, he felt totally defeated. He felt as if the saint ran over him completely. He felt drained. One naked man defeated the conqueror of the world with just his words, without any weapons! This was unbelievable. Alexander would never forget this incident, however hard he may try to. Even though his ego will never accept it, he knew that this was indeed a great master. He had the uncanny power to hit the right spots of vulnerability. One who is not a slave of his own mind is the true emperor! What a truth! And such a man needs nothing from anyone! What a freedom! Alexander was shaken to the core. Still, his ego did not permit an inner transformation. His ego was hurt. Deeply hurt and felt humiliated. He ordered the saint to be delivered back to his hot rock and decided not to take any more “risks” of this kind which may pull down his status in the eyes of his people. All my medical results were quite perfect and in a way I was proud that, despite all the mental torture I was inflicting upon myself, I was in a pretty good shape… And then – a shock… I was told I had a cancer and I should go for a surgery or I could not expect to live more than 2 weeks?!?! I had already known Mohanji for a few years. He is the husband of my friend from high school. At the time I contacted Biba, his wife, I already made a decision that I am not going for a surgery. I connected to myself deeply and was ready to meet anything that life brings. I had faith, strong faith that everything was happening for a reason. Unconditional love and wonderful energy led to miracles… The next few days were a real hell… I had terrible headache, vomiting all the time without putting any food into my mouth… I thought I was dying, as per the doctors’ predictions two weeks before. Some of my friends wanted to help me and stop the pain and suffering, but Mohanji did not let them. He believed in the process just as I strongly believed in him. Three days later, I woke up on Easter morning without pain, with a new glow in my eyes. I realized. I was connected. I knew. I found. I felt so light, so grateful, so full of love for myself and all people, full of love for life. I know that Mohanji is always with me. We are always connected. Unshakable FAITH is all you need for miracles to take place. Guru Mata Pita, Guru Bandhu Sakha. Tere Charano me Swami Mere Koti Pranam! GURU! My Ultimate GURU Mohanji. I got connected with Mohanji in April 20th, 2013 through POP meditation organized by Viji at her house. That day first time I attended POP meditation and felt peace in my heart. Meditation session was from 7 to 8 PM in the evening. That day skype meeting with Mohanji was also scheduled. After meditation we all finished our dinner. I was very eager to meet with Mohanji and wanted to ask him hundreds of questions. Finally around at 9:00 PM I saw the divine face and sat there just looking at him answering people’s questions. Many people asked him questions and I just observed my listening to him with calm mind. Finally Viji told me to ask him any question I may have. I did ask him and Mohanji took time to answer my question. I wanted to ask him more questions but still wanted to grasp what he explained to all of us about Karma. I drove back home and kept thinking about him. My monkey mind was not satisfied and wanted more explanations. My real desire was to meet him personally and touch him. Second time I have attended POP meditation at Lata’s house on July 6th, 2013. That day I had a very good experience during meditation. We all shared our experiences but still I felt I need to see Mohanji in person and touch him. I was very happy to know about his US visit. Wow, a True Master coming so nearby! Finally, the day came and I met My Master Mohanji, the divine soul, my GURU on July 18th, 2013. I am a Shirdi Sai devotee and on July 17th I had a Sai Pooja and satsang at my house. Sai pooja went well and we felt Sai Baba’s presence and Vibhuti, chandan all over the house. My house was blessed and I was very happy. But still I wanted Mohanji to come and bless my house. But time didn’t permit since Mohanji had to go to Rajdhani temple for satsang. Well I had to wait one more day to meet him. On July 18th we went to Reston Homeless Center for food seva. I was there on time eagerly waiting for Mohanji. Finally, Viji came and asked me to receive Mohanji waiting outside. I had a mixed feelings and I don’t know what that was. I went outside to receive him and felt truly blessed as soon as I touched his lotus feet. I just introduced myself and he said, “I know you. We already met.” I was kind of surprised to know, we just met once through and he still remembers me. That’s the second he touched my heart. We did serve food to the needy people and Mohanji also ate some fruit and salads. After this program he came to my house and accepted to drink tea and ate just little bit food. He was very happy to see my pooja alter and my house energy. Still then I was not aware of his power and unconditional love. Due to my ignorance and lack of my jnana and ignorance I didn’t know your ‘Shakti’, please GURUJI I ask for your forgiveness for being ignorant. The same day in the evening, I went to attend Mohanji’s discourse held at the Sai Temple, in Sterling. I went with my friends and sat at the side of the hall. I was looking at Mohanji and we had eye contact and he quickly acknowledged my presence. Mohanji started talking about ‘Karma’, ‘Next Life’ etc. I was listening very carefully and everything was going over my head. I felt I couldn’t concentrate and felt like falling asleep. I thought due to pooja at my house I was very tired but after attending him couple of times I have realized, it was happening just because of his energy. I was not fully prepared to receive or digest that pure energy. I left the temple in middle and felt very unhappy. I knew I was not doing right. 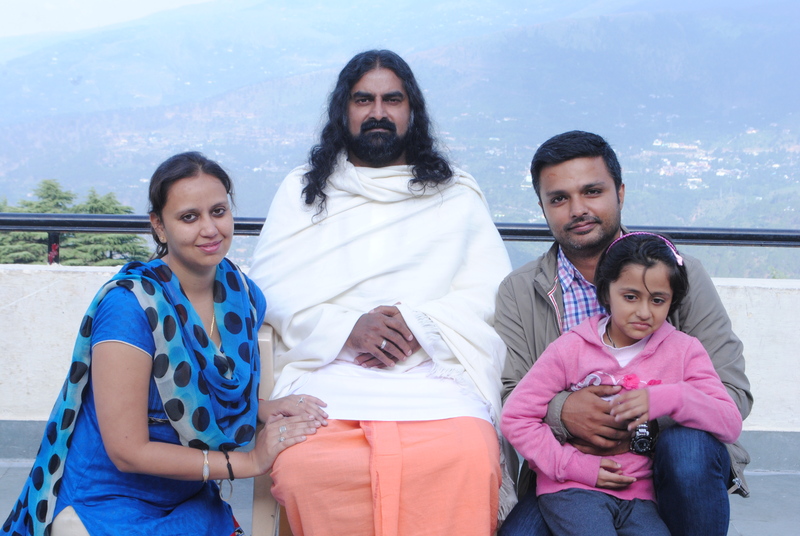 I had discussed with my friends and heard different opinions about Gurus. My mind was confused but heart was not agreeing with that. Next day evening, on July 19th, Viji had a ‘Meditation with Mohanji’ at her house. That night during Shaktipat, Mohanji completely changed me and I found my ultimate GURU. I have forgotten all my questions and curiosity, as soon as he touched my head. I felt calm and happy. I felt I know him forever. He is the one who I was just searching for and Shirdi Sai Baba connected me. I see Shirdi Sai Baba in him. I was overjoyed just thinking I found a living guru whom I can touch, see and communicate with. What else do I need? Yes, yes I have found my true Guru. I am truly blessed. I have attended all of his Satsang and meditation while he was in Virginia, U.S. My son was going through lots of emotional issues and I had a true wish if my son could get his blessings. Unfortunately it didn’t happen, even though he visited my house twice. I kept asking (mentally) Mohanji, please help him to come to you and get your blessings. We had a last satsang at Lata’s house on August 12th and I was asking my son to come with me to get Mohanji’s blessings. Since morning I was requesting my son to come along with me and he refused to come. Miracle happened! I left the house and started my car, mentally talking to Mohanji saying, “Are you not going to bless him?” Then suddenly I saw my son came running, saying, “Wait I am coming.” I was speechless. Then again my son said, “I am just coming with you for just half an hour.” But surprisingly, he was there for four hours. Satsang started and Mohanji looked at me and smiled just telling me, “I see your son here.” I just said, “I know you made him come over here.” We were just talking mentally. He didn’t want to get Shaktipat. My turn came and I moved close to Mohanji and I saw my son came before me to get Shaktipat. I had tears in my eyes just to feel his blessings and knowing how he knows and understands our wish, feelings without telling him. My humble pranam to your Lotus feet Mohanji. Please shower your grace and blessings on me and my family. Always help, guide and protect me. I also want you to forgive me for my ignorance. Mohanji’s miracles are beyond time and space. Every single moment I have witnessed and felt his presence in my life and my house. He is always with me just I need to mentally connect with him. My life has been changed since I met him. Day by day I am growing. I feel peace in my mind. He is so easy to understand. He talks simple language which goes straight into mind. He understands my problems and it is so easy to communicate. I don’t have to get an appointment or need any middle man to communicate with him. No matter how busy and where he was, he always took time to answer my messages. I feel so safe and protected. He told me I need to surrender and have full faith in him. Mohanji told me, “I will always be with you.” I see and feel he is always with me. He is protecting me and my family every minute. His spiritual eyes-card is very powerful. Whenever I am low in energy I look at his eyes. His eyes are a gateway to his consciousness. I have kept his card at my work, home where I mostly sit and work. At last, not the least, Mohanji is my Parabramha and Shirdi Sai Baba. I strongly believe Mohanji is my Guru because of some my past life’s good Karma. My humble pranam to your Lotus feet Mohanji. Please shower your grace and blessings on me and my family. Always help, guide and protect me. I also want you to forgive me for my ignorance. Mohanji’s so broad and vast, having „customized“ approach for each person. With His perception, insight, like with x-rays He can see through you and work on you in the way that you can understand and grow. He will not impose his way, rituals or terminology. He will use your map of the world, not His and guide you there. He doesn’t need His own map as He is ONE WITH ALL maps, one with all. He knows how you breathe, how you think and how you can progress or benefit the world. Yet, He will not interfere in the life lessons you have to learn. He will not spoil His children. If you are close to Him physically, you may be disappointed as He may shatter all your concepts about yourself, or the situation you are in or want to be in. He will crack the toughest shells of your shield you use for the world. He won’t let you be meek. He won’t let you be weak. He says He is holding you but you have to go through the cleansing process yourself. And it is far from being in the comfort zone. He just takes out of you the fear about that. If you are thirsty for the higher, if you aspire and have the intention for eternal peace and bliss, He echoes you amplifying hundred times what you radiate. He mirrors you, but giving you the reflection of yourself with much better resolution than your own eyes can perceive. If you blossom in love, He will respond with three fields of blossoming love. I feel even „experiences“ are sensations. Some fantastic experience is not what I long for. I’m not interested in miracles attractive for my biography. If I’m subtle enough, they will happen, and I’ll feel them, recognize them and be grateful for them. Eligibility is what attracts things, people or even a master to you. Even a master through signs, situations and life lessons. Describing a miracle is like defining a wavelike experience using bricks of words. Deterioration of the authentic subtle truth happens. Misunderstanding may happen. I’ll avoid it now. Yet, these tiny sparkles of my inner world I tend to express through verses. As delicate as they are, only a poem may catch them. my wound healer and love booster. I’ll give birth to it. I’m sure we all have countless experiences to share when it comes to being with Mohanji, either in physical form or consciousness. One of my most treasured moments with Mohanji has to be during a casual satsang at Nanditaji’s house in Gurgaon last year. The mood was light and everyone was all around Him as usual. 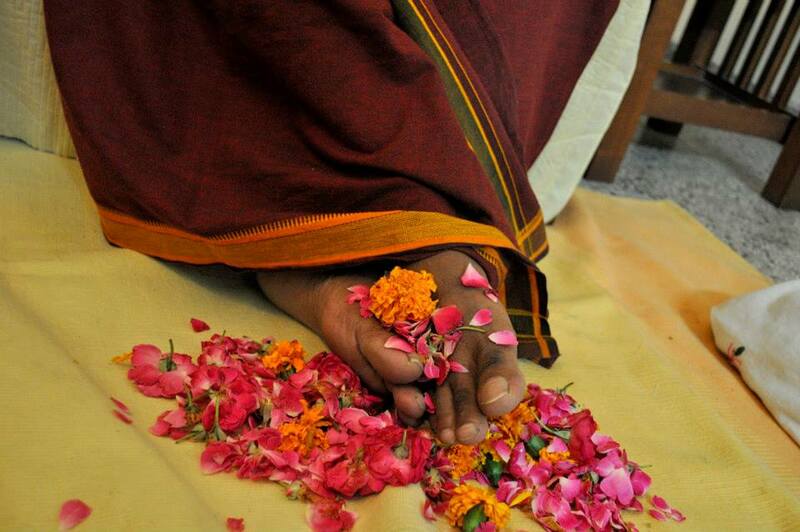 No matter how busy, He always includes everyone… Admiring Father’s beautiful divine lotus feet.. .our Home… I felt nudged to take a picture of them. By the second click, His second toe/long toe had become elongated and huge!! And in just a few seconds it normalized to it’s original size! I had that unmistakable strong feeling that this was Shirdi Sai Baba appearing through Mohanji’s body!! It was amazing to see and compare both pictures with the stark difference in the toe! But, being shy about one of my first such experiences, I took me some minutes to digest it and then shared with everyone and Mohanji. I felt super blessed to be given that experience by the Masters!! On sharing, everyone confirmed and some radiated the warmth of continuously having witnessed several Masters through Mohanji’s body… J Since then I have seen many instances of physical evidence and pictures of Lord Shiva, Maa Durga, Bhagwaan Nityananda, Sai Baba, Babaji and other Masters appearing through Mohanji. 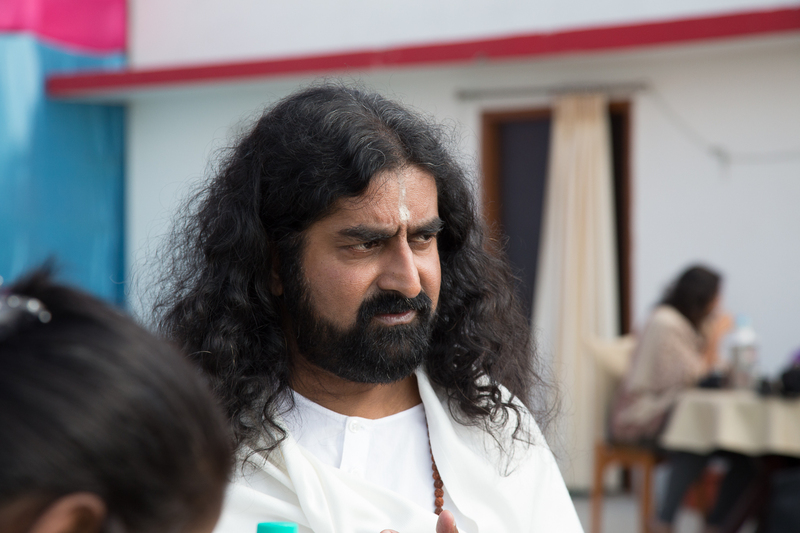 During the Kumbh Mela trip in 2012 we saw Kailaspati in Mohanji’s hair. 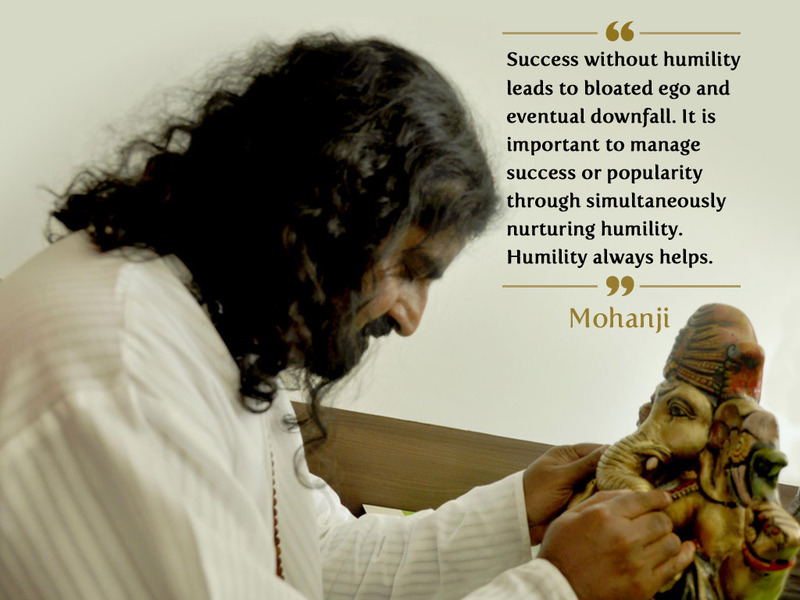 Mohanji, the incarnation of grace and compassion kept giving each one of us profuse experiences in innumerable ways. My limited inner eyes were blessed by Him to catch a few. 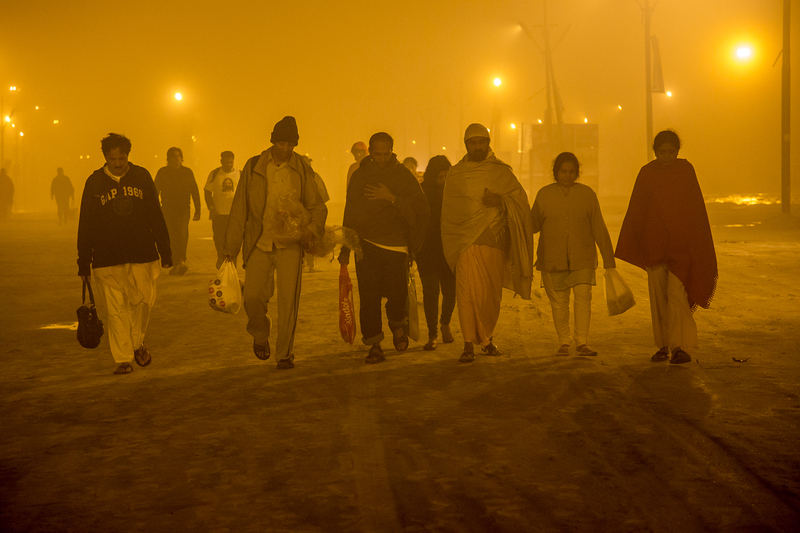 One of them was during the Holy Dip at Sangam. 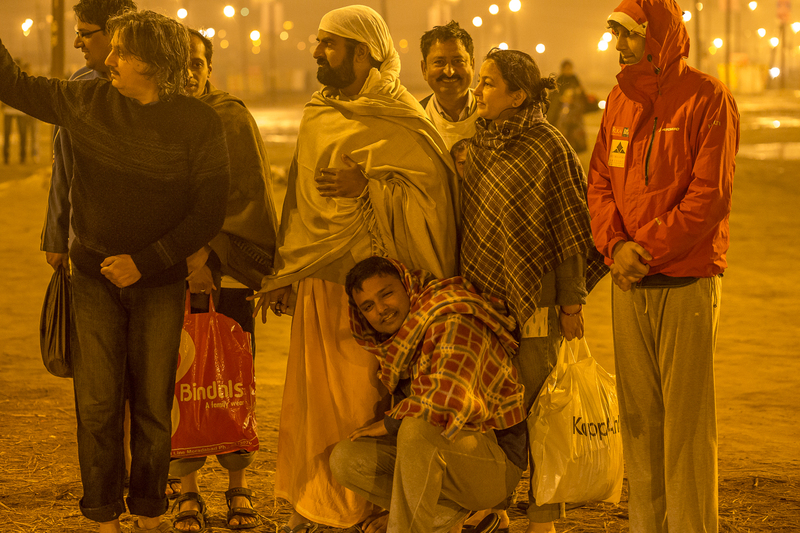 We all encircled Mohanji and offered the holy water to Him and the Tradition. For some seconds the name Mohanji didn’t come to my mind . 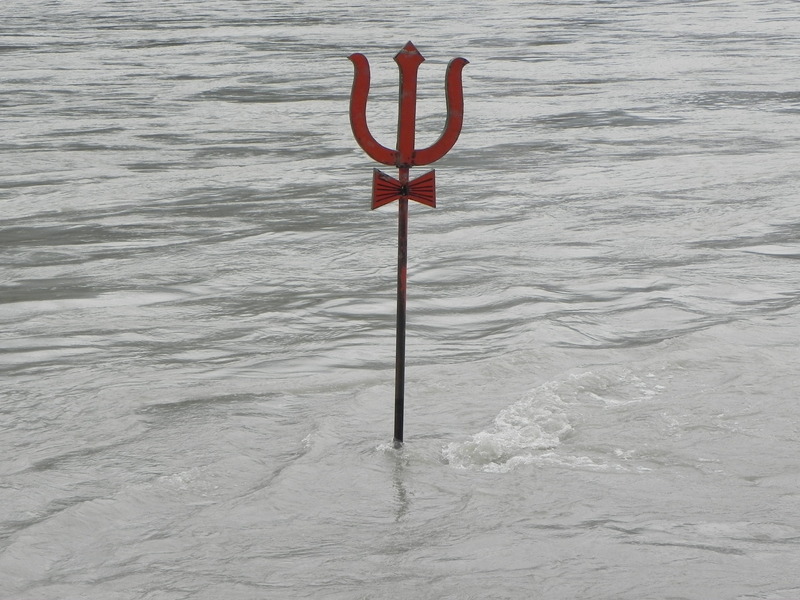 All I could see was Shiva standing in front of me… The whole experience was transcendental. It was as though all of us were with Mohanji in another dimension. At least that’s what I tangibly felt. We took minimum 9 dips in the water surrendering and offering gratitude to our Guru, The Eternal Tradition, all Masters and our families. I had a silly little wish of touching my beloved Mohanji’s feet in that holy water. Seemed quite impossible for me to find His feet underwater around 3 am, when everything was dark and not falling into the riverbed at the same time ! Ha ha. This thought was never worded but the moment I went near Him, He just pushed me down and I could completely touch His feet to take His blessings. And just like that, I was pulled up!!! He never physically pulled me up… To phrase this in feeble human language, we could remotely compare it to a strong ‘magnetic pull’. I KNOW for a fact that I didn’t or couldn’t get up myself. And also that He didn’t need to physically pull me out of the water.. All happened in what seemed like a millisecond. It’s certainly difficult for the human brain to comprehend and much easier to ignore and forget this. But if we surrender to Him completely without any expectations, our Master would give us experiences in higher dimensions just to fulfill our minutest desires. Bow to Mohanji!! The sudden shift occurring in my life for 4 years had led me to explore meditations, healing etc. and hundreds of questions had erupted in my mind. Anxiety and restlessness were at their peak… Undigested knowledge was swarming all around me and I was trying to find the answers through different paths. I was having insights intuitively yet practically things were so different around me. All I knew that Mohanji was my sole guide, my sole refuge, and the one person I could trust completely in this world. Whichever path I’d explore, I would find Him there J That gave me immense peace… With Him I felt, and still feel 😀 like a little baby sitting in God’s lap knowing everything is safe. I had begun to realise slowly that He is my source. The source which had been guiding me since birth, since much before I met Him in this life. He asked me not to worry and that all will be answered. I was running late for the meditation and couldn’t find the venue, but found Mohanji himself standing outside instead. A big hug was due 😀 The meditation didn’t go as expected. I just couldn’t concentrate and kept feeling like vomiting. My whole spine was burning and I couldn’t sit straight. It didn’t feel that great that I got to attend Power of Purity in My Master’s presence after so many months and could hardly even meditate!! Oh well, one had to move on from that. I was asked to be the last one to get Shaktipath and just couldn’t hide my joy of being with Mohanji. Even a smile, a glance of the Master is Shaktipath, the transfer of Divine energy. Just being in His presence, getting His physical Darshan, thinking of Him.. is completely transformative. During the meditation and Shaktipath, my perpetual ear to ear grin make me look like a lunatic but in front of Mohanji , the inner self just shines through! All I remember while receiving this particular Shaktipath was that I had no thoughts at all… I just felt one with Him completely. The moment Father put His thumb on my forehead, I felt like a small white ball of light entering my third eye down through my head and dissolving inside completely. Every pore of my skin felt like a sponge soaking it in. I still get the chills when I recollect how tangibly I felt the three-dimensional ball going inside me… as though my third eye had an opening or it ate the white ball. I instantly opened my eyes after Shaktipath and exclaimed, “Mohanji! What was THAT?? :O’’ He had the biggest smile and hugged me tightly!! I was shaking and was asked to drink some water. A great experience, the effects of which the forthcoming months would tell! In just 1-2 days, unimaginable peace soaked every layer of my being. Peace that was only a word till now had become a state. I would look at myself in the mirror and all I could see, feel, eat, taste, sense was God. There was only God, and it felt nothing like the definition of any form of God that I had ever read. It was truly an experience. This detached me greatly from a lot of unnecessary emotions, superficial relationships, any anxiety, undigested knowledge. I was drenched with peace and silence. 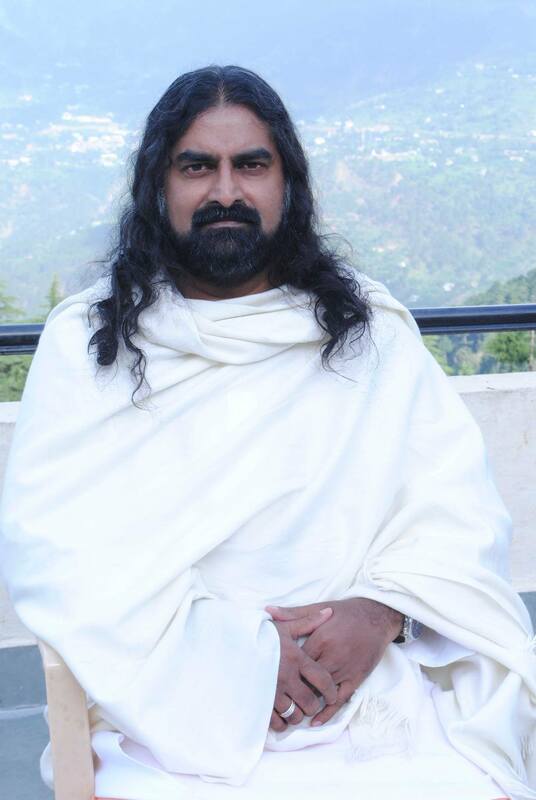 While practising Power of Purity meditation alone during this phase I could go into blissful states. During one experience, I found myself rising up.. sitting a little above my head, with my body beneath… even a brief, millisecond communion with the higher self was completely fulfilling. This was ALL Mohanji. Only His grace. He sent me into complete “Beingness” mode. True connection to your spirit was silence, love, nothingness. He ensured I had a glimpse of that as an experience rather than read the big words. That Shaktipath had silenced and left me almost thoughtless for a month. 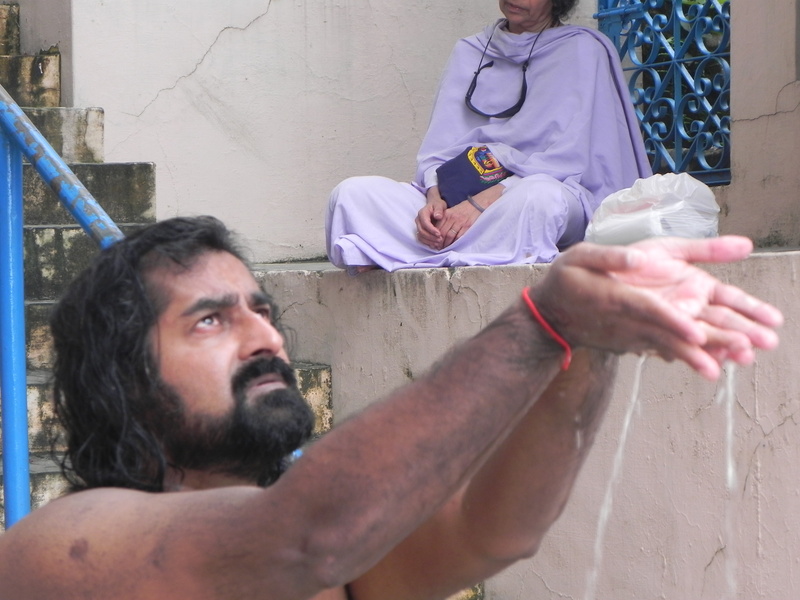 I’d like to share another Shaktipath experience which was completely beyond words. 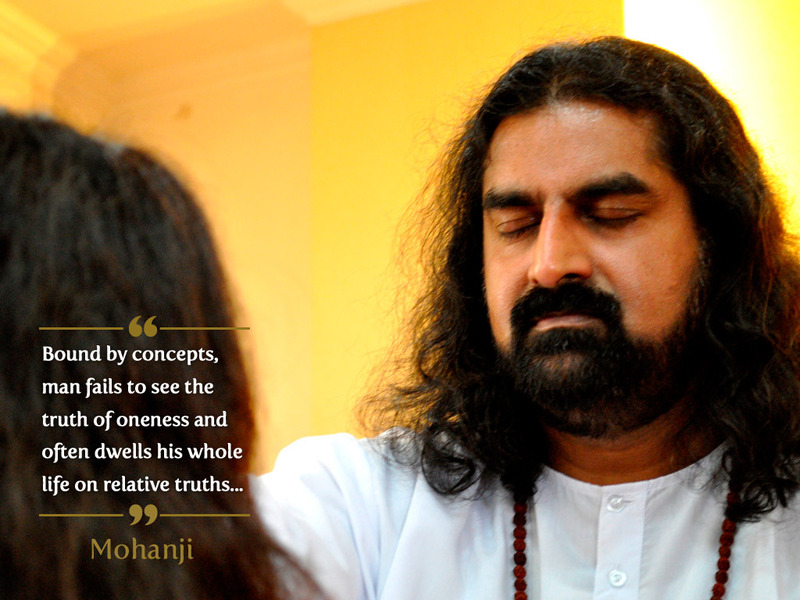 After getting connected to Mohanji’s consciousness, there was a downpour of tremendous spiritual energy. My root wasn’t so strong to handle that and I was totally jumping around from one thing to another. It was only Father’s non physical guidance which made me truly pray to Mohanji/God and yearn for stability. Master, never interfering in one’s free will, allowed me to experience all of that. And to be honest, I was still using my mind more and only surrendering to Mohanji out of helplessness. Only when I surrendered my free will to Him completely, did He take over. During meditation, a single spontaneous Shaktipath blasted off my root chakra completely… A huge surge of energy rushed to the base.. and it made my root empty. It was followed by intense waves of white energy. Like all oxygen has been taken out from your lungs and you’re pulling in oxyen from the tank, my root was pulling in fresh energy from Mohanji’s hand through my third eye!!! I felt a big vacuum. I felt breathless!! But not from my lungs. Mohanji was holding my arm, making me stable and that was the only thing that kept me going during that intense Shaktipath. This Shaktipath was PURE GRACE of the Master. The insights, stability, peace, sound mindedness I’ve experienced since then has changed me for the rest of my life. Sometimes while pressing His feet (a common gesture in India to show love for your Father) His skin texture turns ..um.. ‘scaly’ I’ve actually felt the textures of His feet changed in seconds, one foot being totally different from the other. It’s our Master operating in other dimensions appearing in various forms. One of which was given as Darshan to me in the hills. The subtly of His physical form reminds me of the first time I got our Divine Father ‘s Darshan. The strongest waves of “Peace” around Him made me feel as if I’m entering into a zone or a bubble where the air is different. The air was wavy with a mesmerizing fragrance… sublime! But well, that has to be another blog altogether J In fact, every day is a miracle after meeting Mohanji. May His blessings help us See, Understand and Digest His grace even more and share it for the benefit of all.